European fire ants, giant slugs, yellow floating heart, brown spruce longhorn beetles and Himalayan balsams have moved to Halifax. Last Monday the St. Mary's Boat Club filled with 150 residents with ants on their minds, and in their Tupperware. The west and south ends are infested with stinging and biting European fire ants. Many residents brought samples. "The complaints have been escalating," says councillor Sue Uteck. Andrew Hebda, a zoologist with the Maritime Museum of Natural History, tells the crowd they needed borax, patience and a willingness to cooperate. The ants have multiple queens forming multiple colonies across multiple private properties. "They sometimes form super-colonies, with hundreds of queens and tens of thousands of workers," Hebda explains. "They are aggressive and expansive." 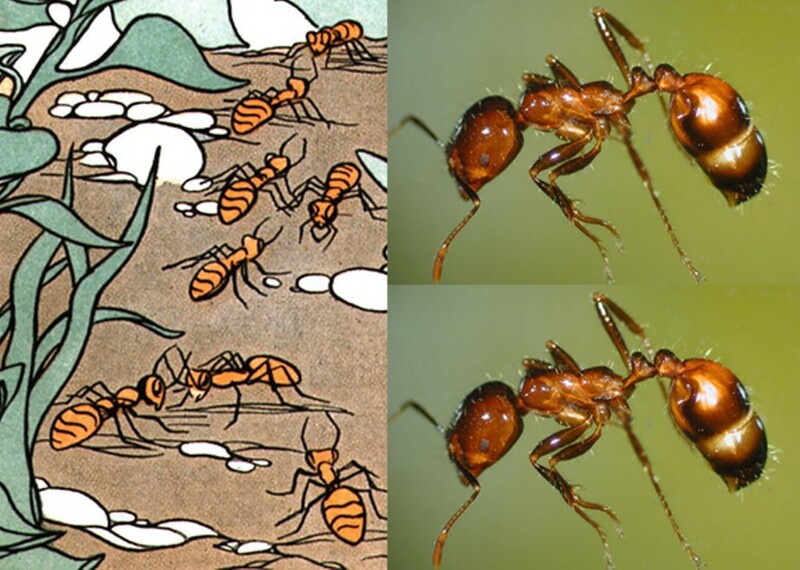 The ants originate from the northern climes of Europe. They were accidentally transported to the eastern United States in the '40s or '50s, and were first observed in Nova Scotia somewhere between Point Abercrombie and Stellarton as early as the 1950s. Hebda guesses that they first entered HRM 20 or 25 years ago, but nobody knew what they were until a year ago. "They are responding to new habitat in different ways," Hedba tells the gathering. They more aggressively defend their territory here, biting and stinging repeatedly, sometimes causing persistent rashes and itching. "In Europe they have predators but here there is no limiting feature but us." The key to controlling the ants, he says, is identifying the perimeter of their territory and strategically baiting them with mixtures of 19 parts sweet (icing sugar, syrup or peanut butter) and one part borax, a chemical compound used in detergents and cosmetics. "Broad scale use of pesticides is ineffective," he says, "you have to target the queens." Fire ants are the highest profile of HRM's many invasive species. Other recent headliners include the yellow floating heart plant, the ubiquitous giant slug, the deadly (for thousands of trees) brown spruce longhorn beetle, dead man's fingers seaweed and Himalayan balsam, a bamboo-like plant that has boomed from a population of 30 to 700 in less than a year in Point Pleasant Park. "They often come from the dry ballast in ships," says Hebda of invasives, adding that exotic species are also purchased at local garden centres and end up invading the wild. An example is yellow floating heart, a pond plant. Ecologists believe a resident accidentally put the aggressive species into Little Albro Lake, and it now threatens to spread to other lakes. "Sometimes exotics become part of our ecological landscape," says Hebda, "like ring-necked pheasants, some moths and beetles. Others lack predators and competition here." Climate change may also play a role in bringing in more invasives. "We're at the 45 degree latitude," Hebda says. "We'll have a greater oscillation of temperature rather than an overall warmer temperature---it will be warmer in the summer and colder in the winter." That means migratory species summering here may stay longer, further altering our ecology. Severe storms have also blown exotic birds our way, and Hebda says we may see more of that with climate change. He says that because invasives are an environmental, health and economic issue, an interdepartmental working group is called for. Councillor Uteck agrees. "The disappointing part is," she says, "the province is responsible for invasive species but there is no working group. I'm working with my MLA and MP on this." In the meantime, she promises a bylaw prohibiting the knowing importation or use of exotics, the first of its kind in Canada, by next year. "It's too late this year," she says. Municipalities lack the power to ban sales of such products, however. "It will be more of an education piece to get people's heads up about this." Uteck says that HRM's Climate Change Mitigation strategy focuses on replacing aging infrastructure and making land use decisions, and does not address invasives. "There is no money anywhere in the budget for this," she says.